Learn how to DEFEND yourself in any situation! 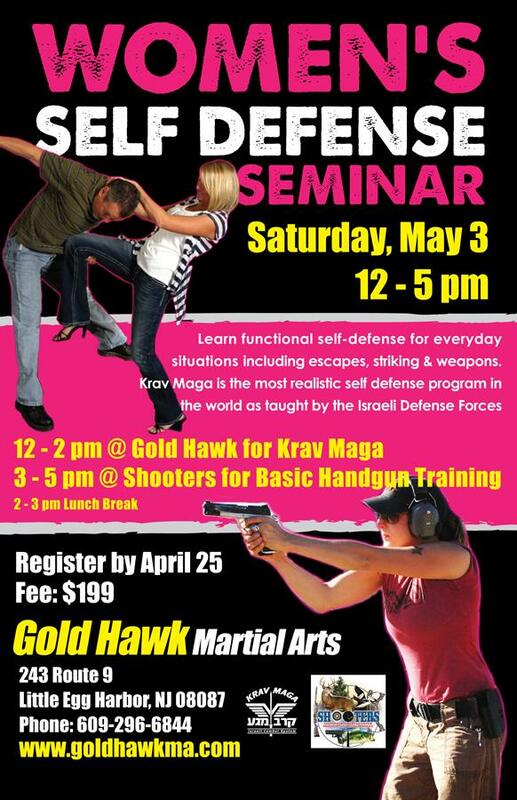 Gold Hawk Martial Arts and Shooters is hosting a Krav Maga seminar and a basic handgun training course. The seminar is exclusively for women who want to take care of themselves and the people they care about. All the instructors are certified in the latest Krav Maga techniques that work in the real world. Krav Maga is the most realistic self-defense program in the world! Shooters have certified NRA instructors to teach the basics of handling and shooting a gun. The event will be on Saturday, May 3 from 12 to 5pm.